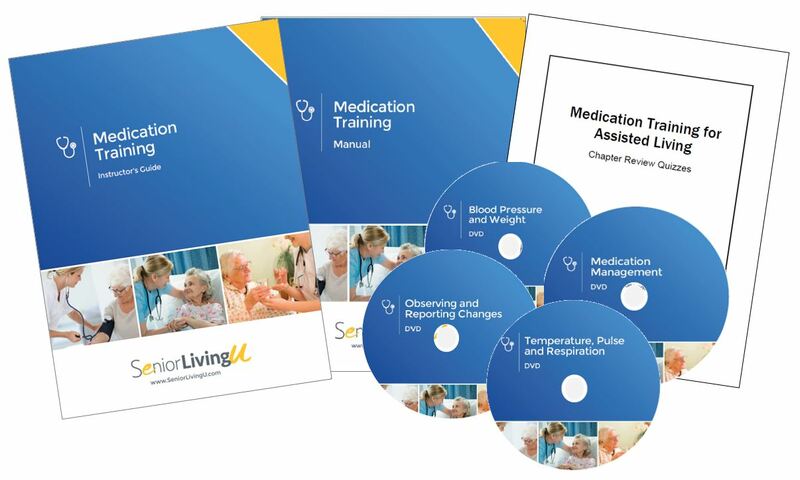 SeniorLivingU’s ‘A Management Reference for Executive Directors’ Manual Set, when used in tandem with Administrator Level 1 exam, is approved by the NAB (National Association of Long Term Care Administrator Boards) for 14.00 continuing education units. 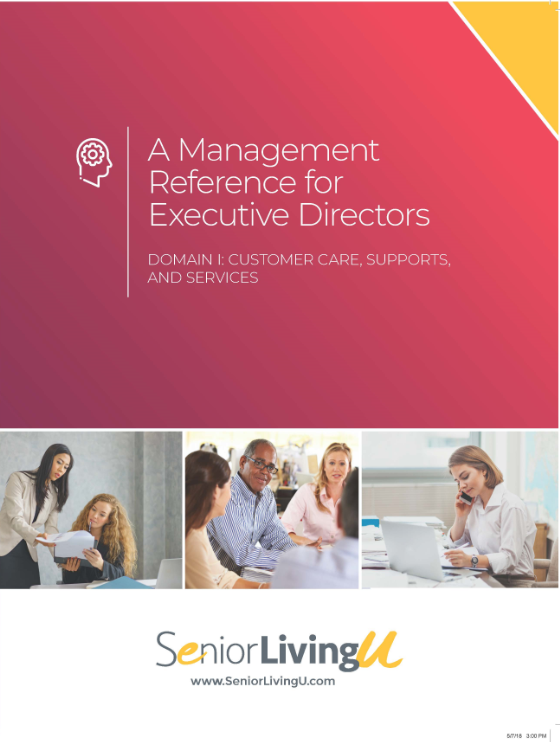 This 3 manual, 5-domain set serves as a multi-purposeful guide and overview on best practices for Senior Living Management. 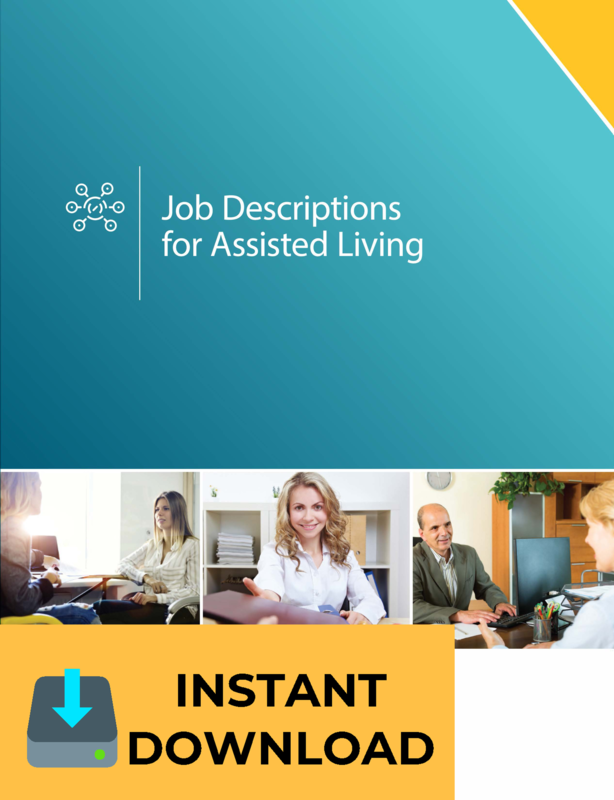 With a copyright date of 2018, it covers everything from hiring to managing front-line staff, preparing for a cyber attack, to an active shooter on campus drill. 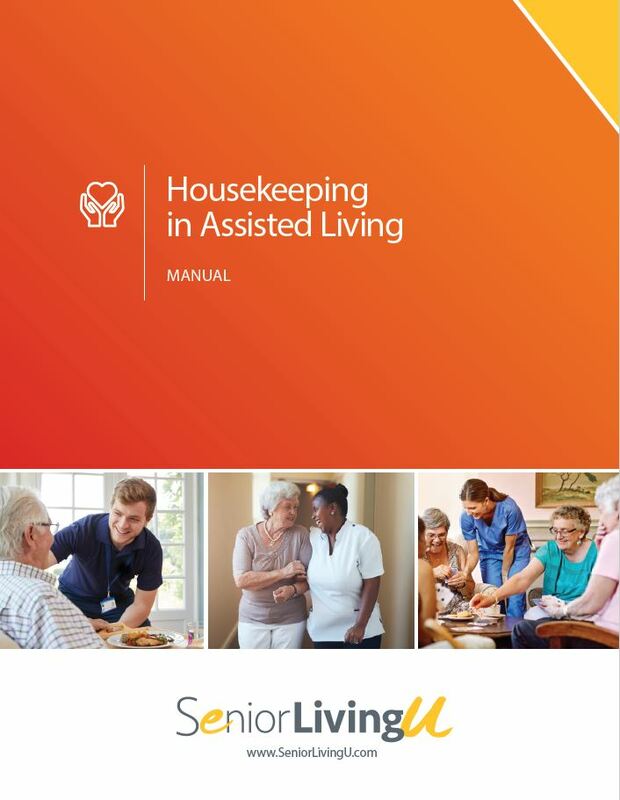 These manuals offer clear and up-to-date information, with examples of day-to-day issues in the managing of an assisted living community.